Group communications (multicast) are foreseen to be one of the most critical yet challenging technologies to meet the exponentially growing demands for data distribution in a large variety of applications of the Internet (such as grid computing, web applications and distributed simulations). When reliability is required, there is no straightforward solutions and meeting the objectives of reliable multicast is not an easy task. Active networks open a new perspective in providing more efficient solutions for the problem of reliability. In this context, routers are able to perform customized computations on the packets flowing through them. In this paper, we propose a receiver-based (replier) local recovery multicast protocol with dynamic repliers elected on a per-packet basis. Designed to provide an efficient reliable multicast service without any cache facilities inside the network, our approach, uses low-overhead active services in routers. 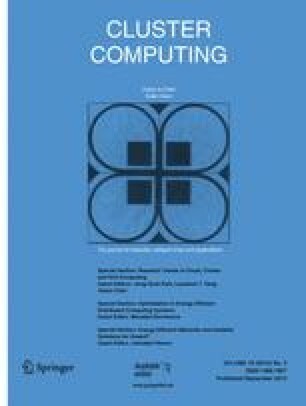 The current paper addresses the design, evaluation and the implementation of an efficient and scalable reliable multicast protocol noted DyRAM standing for Dynamic Replier Active reliable multicast.